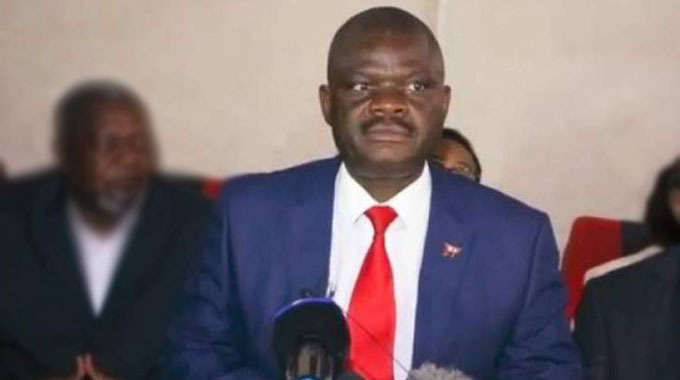 The Zimbabwe Republic Police (ZRP) is looking for nine senior MDC-Alliance officials, including Tendai Biti and Morgan Komichi, on allegations of inciting their supporters to embark on an illegal demonstration last Wednesday in Harare. Six people died and property worth thousands of dollars was destroyed during the demonstration that has received wide condemnation. At least 27 people were arrested following the violent disturbances. In a statement, Criminal Investigations Department spokesperson Detective Assistant Inspector Portia Chinho said the nine were wanted for contravening the Criminal Law Codification and Reform Act, Chapter 9:23. The other MDC-Alliance functionaries being sought are Happymore Chidziva, Jim Kunaka, Paddington Japajapa, Mafaiti Mubaiwa, Jeff Tafadzwa Chaitezvi, Lovejoy Chitengu and Chamunorwa Madya. “They are wanted by the Criminal Investigations Department for Contravening Section 37 of the Criminal Law Codification and Reform Act, Chapter 9:23,” said Det Asst Insp Chinho. “That is “Participating in a gathering with intent to promote public violence, breaches of the peace or bigotry”. The 27 supporters who were arrested last week appeared in court yesterday. According to the State, on August 1 at about 1200hrs, the accused persons were part of a group that held an illegal demonstration mobilised by the Movement for Democratic Change-Alliance against the alleged delay by the Zimbabwe Electoral Commission to announce the July 30 presidential election results. The suspects, who were acting together with about 4 000 others still at large, marched along Rezende Street and Bank Street in Harare Central Business District. On arrival at the Market Square Police Base, the accused threatened to assault police officers. They went to corner Rezende Street and Bank Street in Harare where they pulled down a portrait of President Mnangagwa, before burning it. They then allegedly proceeded to KFC food outlet where they stoned the shop, before proceeding to Innscor’s Pizza Inn, where they did the same. The accused also allegedly stoned the Bakers Inn outlet along First street. A team of police reaction unit intercepted the accused, who ran away along Nelson Mandela. The demonstrators also torched cars at the Zanu-PF offices for Harare province.